Kai Calhoun Joins “Team Kaylie,” Natalie Edwards in HEATHERS in Alexandria, VA, and more! 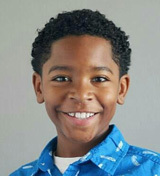 Kai Calhoun (Motown) has joined the cast of the upcoming Netflix series “Team Kaylie”! Get more details on Deadline.com. Natalie Edwards (Billy Elliot) is performing in Heathers with Beyond the Page Theatre Company in Alexandria, VA! Get tickets HERE. Congratulations to Cate Elefante, currently in the ensemble of Les Miserables and understudying Little Cosette and Young Eponine, who will begin playing Little Cosette/Young Eponine full-time this March! Charlie and the Chocolate Factory and Miss Saigon will come to Fort Worth in the 2019-2020 season, with a 2020-2021 engagement announced there for The Lion King! Anastasia will arrive in Toronto this holiday season! Get more details on BroadwayWorld.com. And here are pictures and videos from the kids of Les Miserables, A Bronx Tale, Anastasia, The Sound of Music, The King and I, and Miss Saigon! Previous Article Hollywood Pantages and Broadway in San Antonio 2019-2020 Seasons Announced, Pictures From THE SOUND OF MUSIC, and more! Next Article Happy Belated Birthday to Sammy Dell, FALSETTOS Rehearsal Photo Coverage, and more!